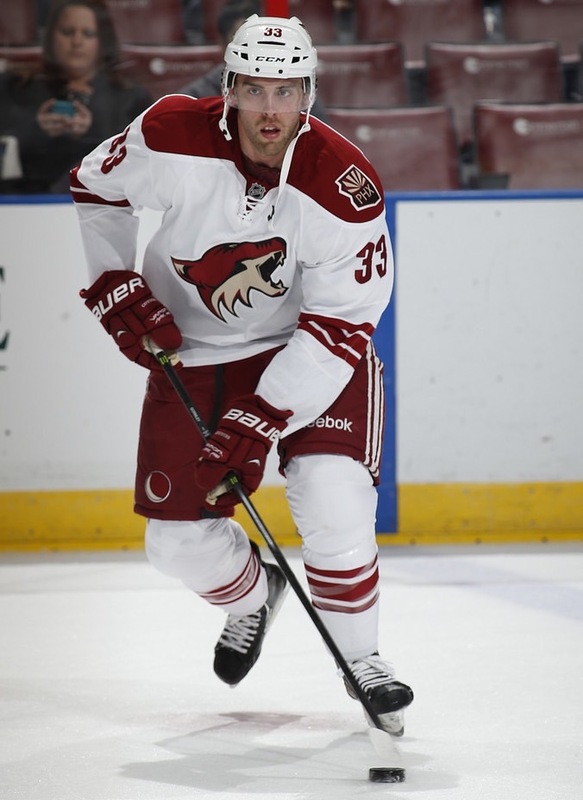 The Arizona Coyotes have announced that they’ve recalled defense man Brandon Gormley from the Portland Pirates. In a corresponding move, the team sent forward Justin Hodgman to the Pirates. Gormley, who is 22-years-old, was one goal and two assists, along with six penalty minutes, in six games with the Pirates this season. Last season, Gormley had a plus-four rating in five games with the then-Phoenix Coyotes. He was the Coyotes first round pick in the 2010 NHL Entry Draft. Hodgman played with the Coyotes for four games this season. He scored his first career goal on October 25th against the Florida Panthers in his NHL debut. He previously played in three games with the Pirates. The 26-year-old signed with the Coyotoes as a free agent on July 1st, 2014.